Triple posts seem to be my thing of late. And so here's another one. 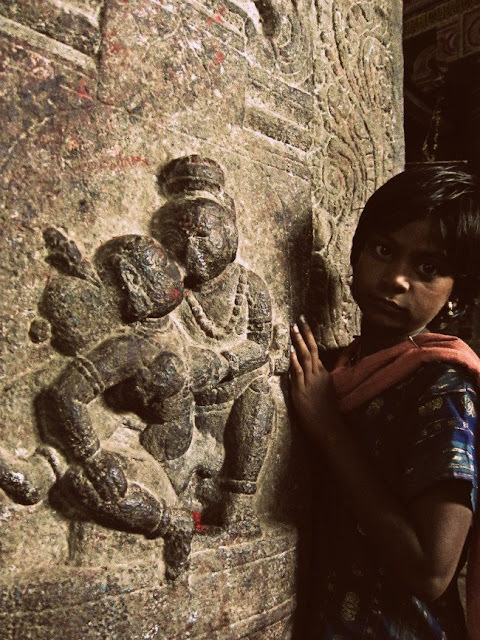 This girl kinda walked into my frame, while trying to photograph the pillar carving at the Srirangam Temples. She just stood there, and stared. And she tried to walk into the next one too; i was more than happy to photograph her with that look on her face. Weird thing, she didnt' ask to see the picture.